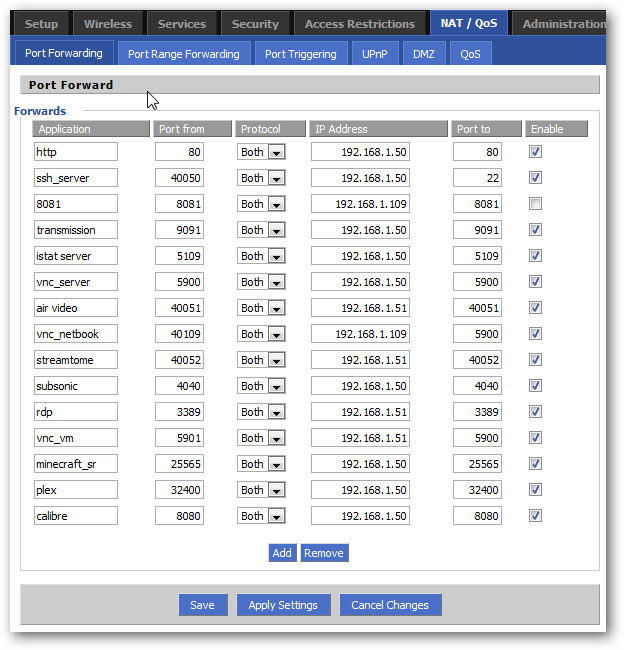 Port forwarding is an old, arcane method of creating access for OWLR to connect to your IP cameras within your home network. Can you explain this in confusing networking terms? In a typical residential network, devices in the home network (e.g., computers, IP cameras, AppleTV) obtain Internet access through a DSL or cable modem connected to a router or network address translator (NAT/NAPT). These devices are assigned IP addresses within a certain range (e.g., 192.168.1.X to 192.168.1.Y where X is less than Y). Devices on the home network are connected to an Ethernet switch or communicate via a wireless LAN. The NAT device's external interface is configured with a public IP address. Devices behind the router, on the other hand, are invisible to hosts on the Internet as they each communicate only with a private IP address. If you’re using DHCP, then each device’s IP has the potential to change in the future, and when it does you’ll need to reconfigure your port forwarding settings. For this reason, it’s best to configure your IP Cameras with a static IP address. Some routers have the ability to “reserve” or “assign” IPs via DHCP that will NOT change in the future, allowing you the best of both worlds, but not all do. When you access your network externally, you will need to know your router’s external IP address. This can be easily found from someone inside the network by visiting http://whatismyip.com. Unfortunately, your ISP/cable provider might also reassign your external IP address which means your external IP address might change without your permission. One way to avoid this is to get a domain name redirect. Regardless of what software is on your router, you’ll be required to enter the same type of information. First, you’ll see a text field where you can type in the name of the application or service. Next, you’ll see which incoming port your router should watch for. Then, you’ll be able to choose which protocol to watch for. A little online research should be able to tell you which one, but if you’re not sure you can choose both. 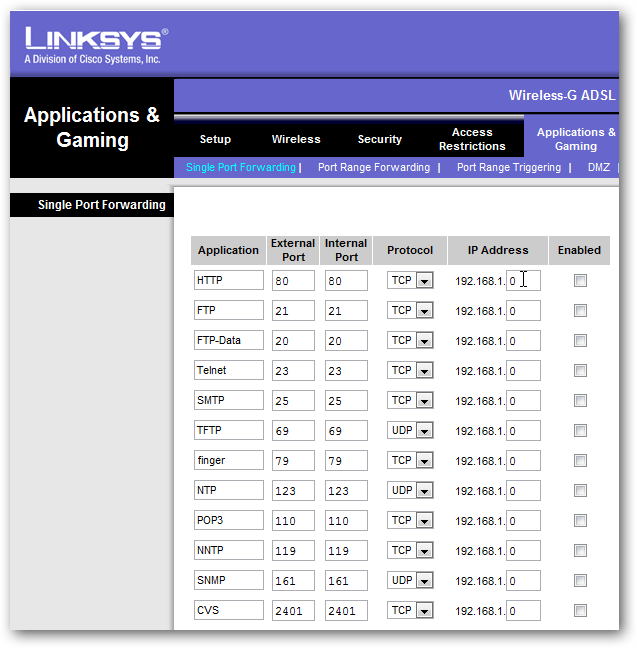 You’ll need to choose which IP address is the destination for this port’s requests. Lastly, you’ll be able to choose which port the request should be targeted to on the destination IP. Each manufacturer has different software that they use on their routers. 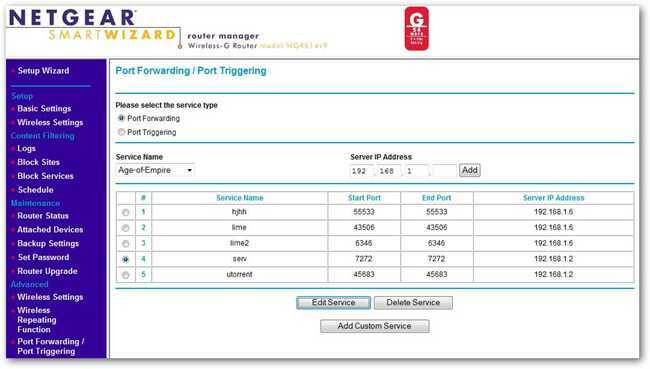 We took screenshots of the port forwarding settings from each of the major brands. We’re assuming that you know how to access your router and you know the proper username and password. 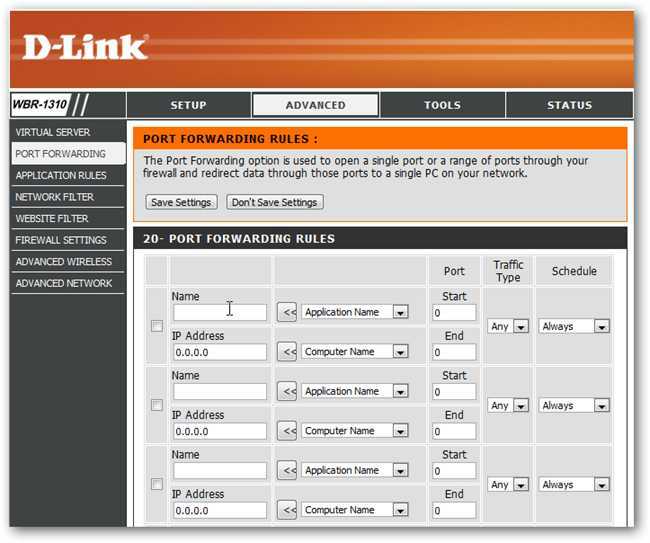 If you don’t, check out this link to PortForward.com and find your router brand to learn how to do the configuration. How Do I Reset My Camera?